If you only have 24 hours to visit Sonoma County, an excellent place to spend your time is Glen Ellen, a cozy village tucked away between vineyards and valleys in the Sonoma Valley. 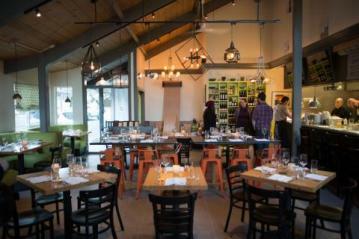 This sweet little town is home to some of wine country’s most intriguing destination locations. From the rich history of Jack London State Park, to the relaxed luxury of the Olea Hotel, you are sure to experience some of the magic of Sonoma County. 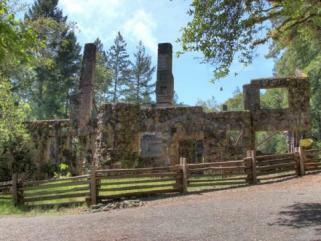 Start off your day in Glen Ellen with a hike at one of the most fascinating sites in Sonoma County. Jack London Park is a historical treasure trove and natural wonder with more than 39 acres to explore. Stroll through Beauty Cottage where Jack and Charmian London lived for many years. Vintage fashion enthusiasts can admire Charmian’s closet, filled with evening wear from the 1920s and ’30s. You can then explore the ruins of Wolf Mansion or partake in a docent led hike to learn about the history of this magical property. Continue your day at Jack London with a picnic lunch by the lake (Glen Ellen Village Market is a great place to pick up supplies), or for a more international hit, check out the highly rated Yeti restaurant for Nepalese and Indian food. 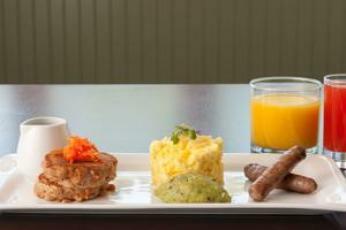 This boutique, family-owned hotel has a cult following for their excellent service and gourmet breakfasts. Centrally located about three minutes from the heart of Glen Ellen, Olea is a perfect spot for couples looking for a romantic getaway. Olea’s careful attention to detail is shown in amenities like complementary local wines, on-site massage, luxury linens, and a hot tub tucked away in a quiet garden. Set into an oak studded hillside and surrounded by olive trees, the look of the property is classic Glen Ellen country charm with a clean lined modern aesthetic in the rooms. I particularly liked the design of the bathrooms, with artisan tiles and glass sinks. Conveniently located off the lobby area, the Asian themed massage room provides a relaxing atmosphere for visitors. Olea’s massages utilize a house blend of essential oils, to aid in reducing stress and clearing the mind. Couples massage and a variety of massage styles are available on request. This local favorite is celebrated for their attention to service, flavor, and quality. Their house cocktails are inventive and popular. The Mt. Lassen Trout entrée never fails to please, accompanied by perfectly cooked potatoes and a drizzle of lemon chive sour cream. Dessert at the fig café is a must, especially their delicious butterscotch pot de crème with cacao nib brittle. What better way to wind down after a delicious dinner than with a glass of complementary wine by the Olea fire pit surrounded by fairy lights and olive trees? 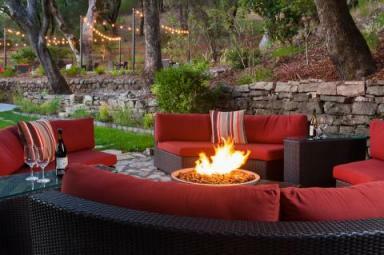 A dip in their secluded hot tub under the oaks will bring the night to a close and provide a perfectly relaxing way to end a wonderful day in Glen Ellen. The continental breakfast at Olea, which is included in the price of your stay, is a one of a kind gourmet experience: a three-course breakfast that is delicious from start to finish. Enjoy house made Granola with a freshly made pastry, followed by a fruit smoothie shooter with seasonal fruit and then, not just one, but two entrées: sweet and savory. There’s a poached farm egg on a cheesy grits fritter with wilted mustard greens, creole butter emulsion and bacon. Then there are whole wheat strawberry pancakes with lemon mascarpone and basil seed syrup. If you like breakfast, Olea’s version is not to be missed!